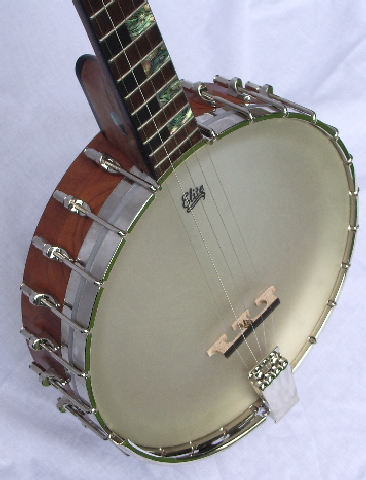 A top quality open back 5 string banjo equivalent to the very best open back banjos available today with a fantastic sound. The neck is laminated in maple or cherry subject to availability and ebony with black edge banding. 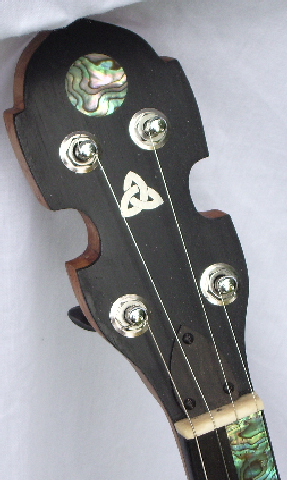 Rosewood fingerboard with ebony and abalone inserts. Ebony pegboard containing our real emerald logo. 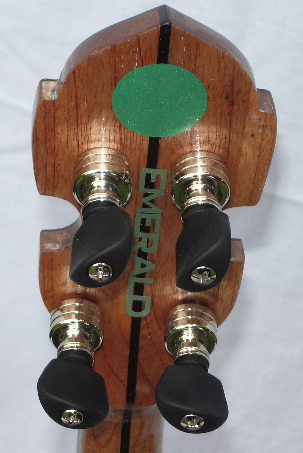 Soft feel black ebonised tuners. 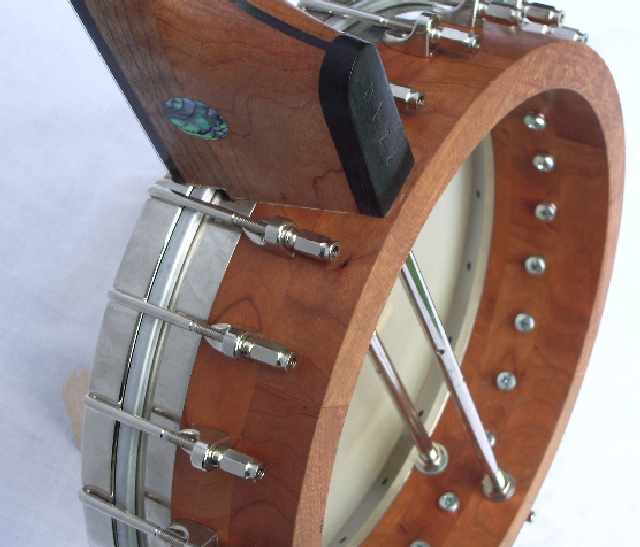 Block cherry rim with Tennessee 20 hole cast bell bronze flat top tone ring which gives an amazing sound. 24 wall lugs and hooks. Notched tension ring. Nickel plated throughout. Can be fitted with clear or white 5 star head. Nickel plated Vega style armrest and no knot tailpiece. This banjo destroys the myth that "old sounds best". A beautiful full sounding instrument.